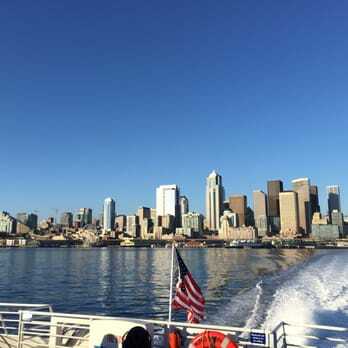 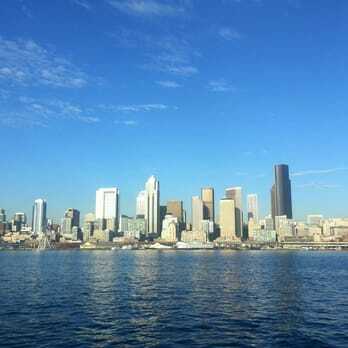 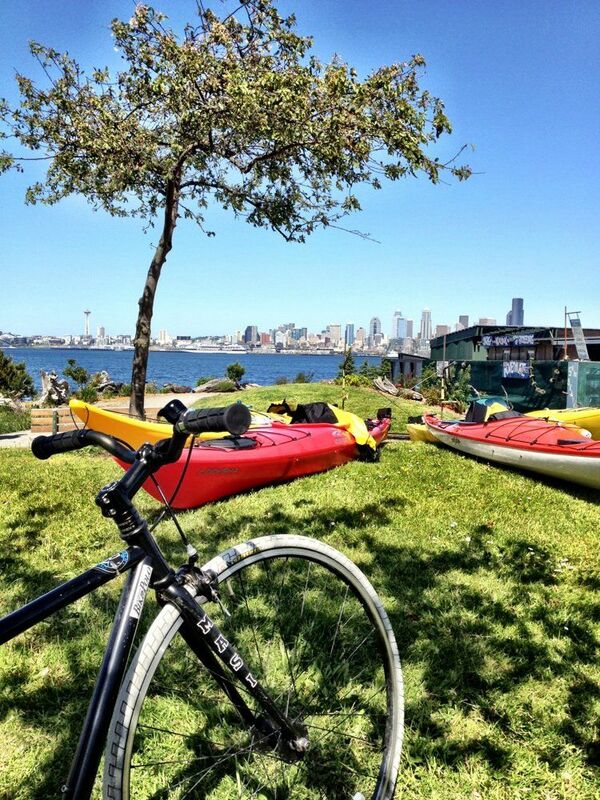 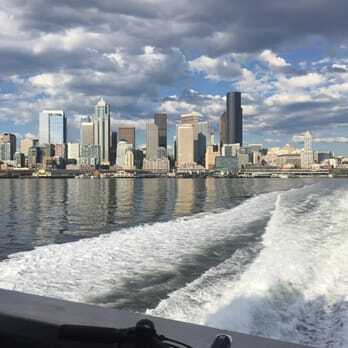 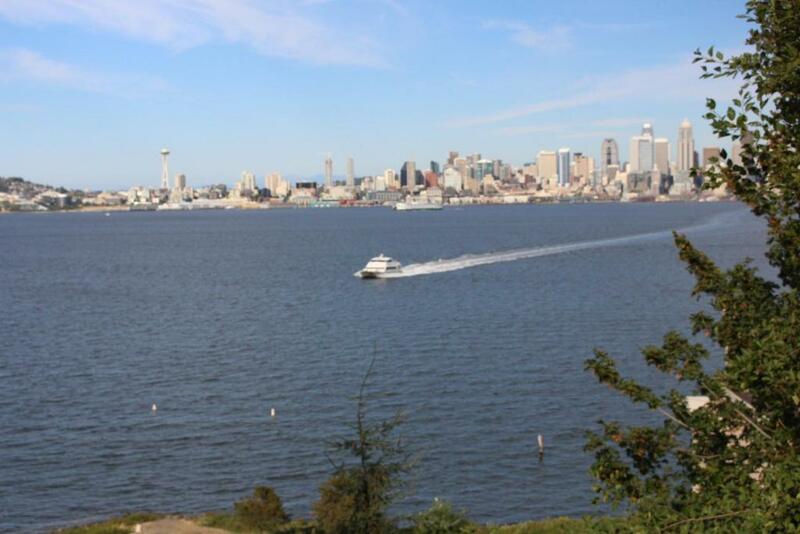 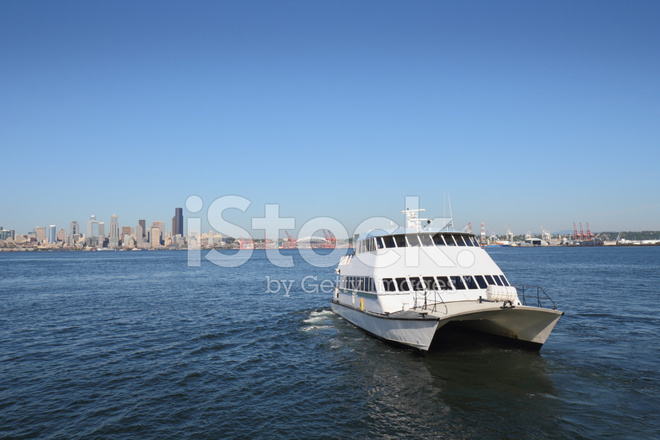 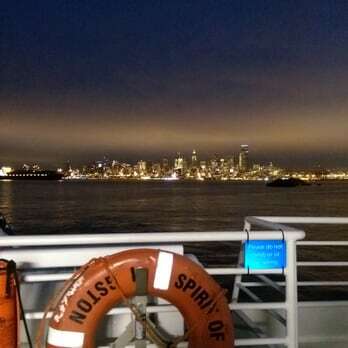 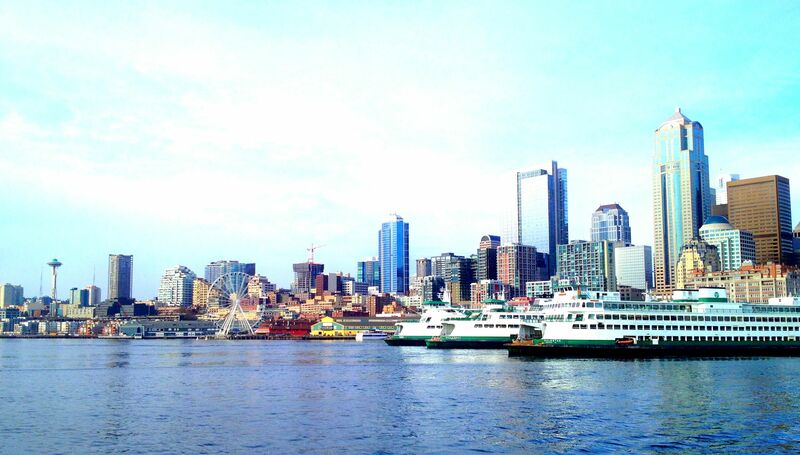 Image: Water taxi traveling from West Seattle to Downtown Seattle. 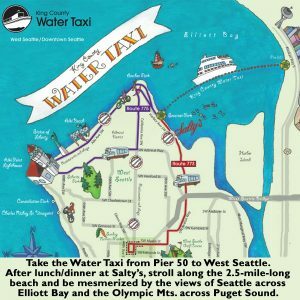 Salty's on Alki: The water taxi right to the restaurant. 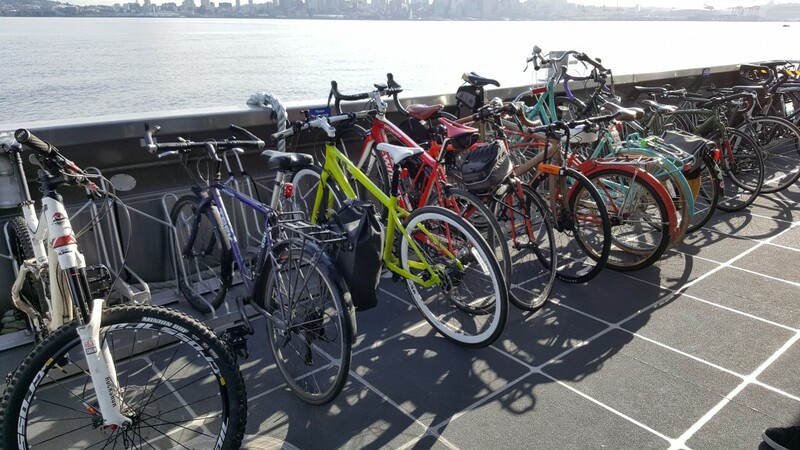 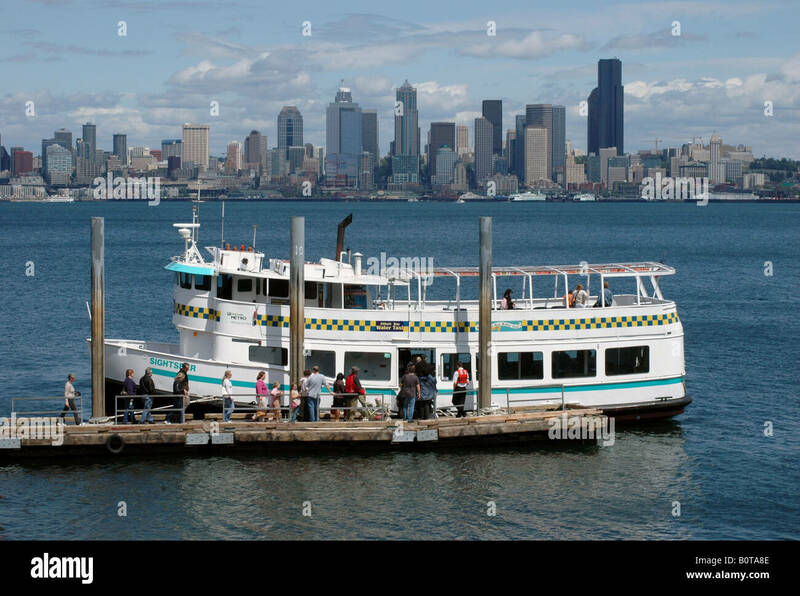 Riders make their way toward the MV Doc Maynard in West Seattle. 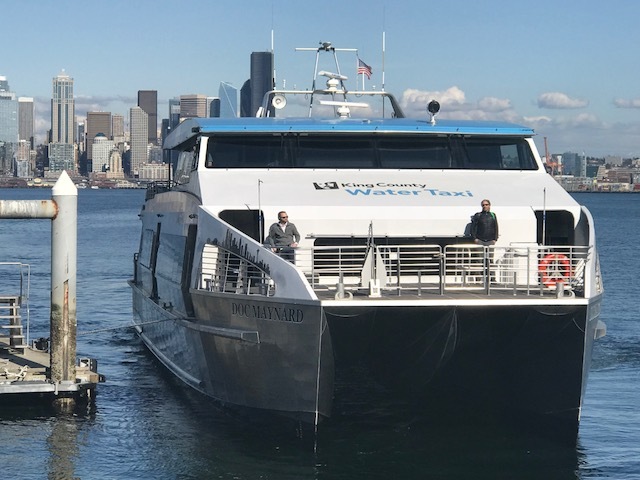 A Seahawks' 12th Man flag flies aboard the King County Water Taxi. 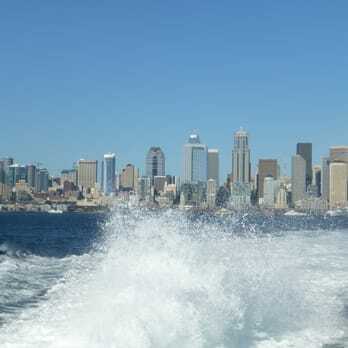 Seattle waterfront and ferry terminal view from the Alki water taxi. 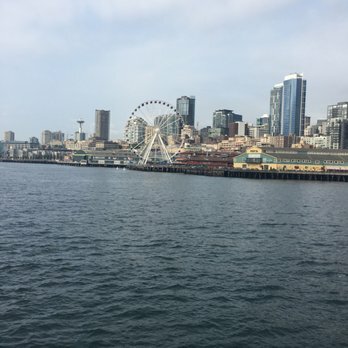 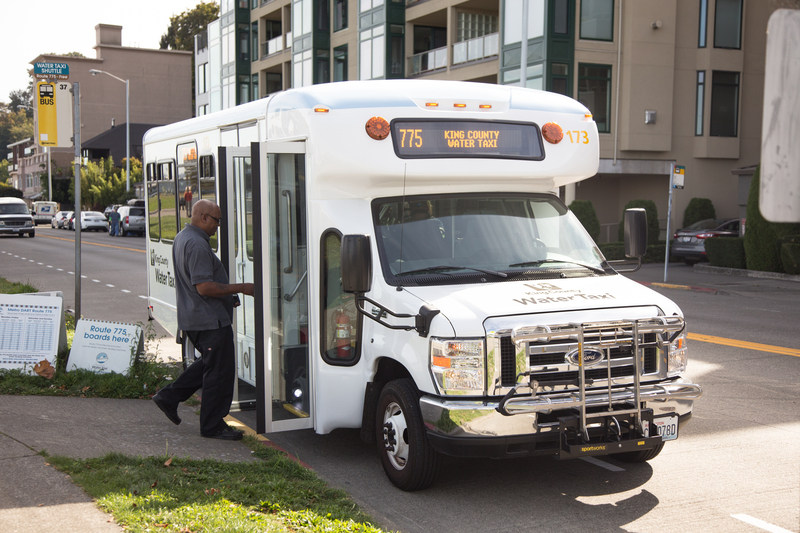 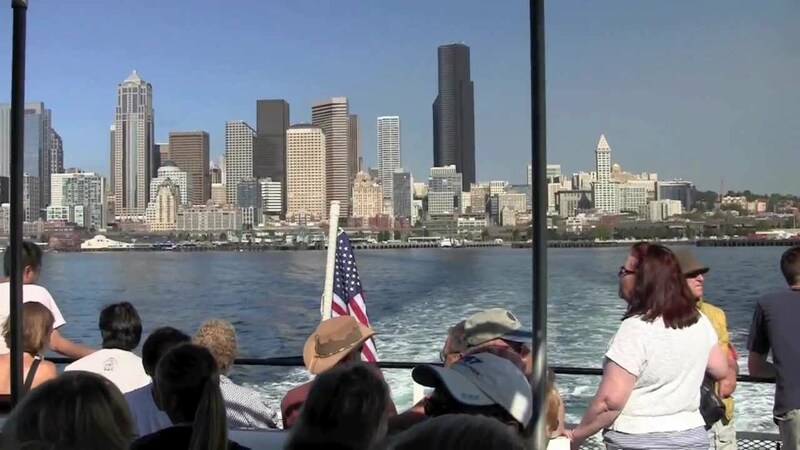 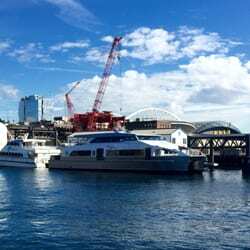 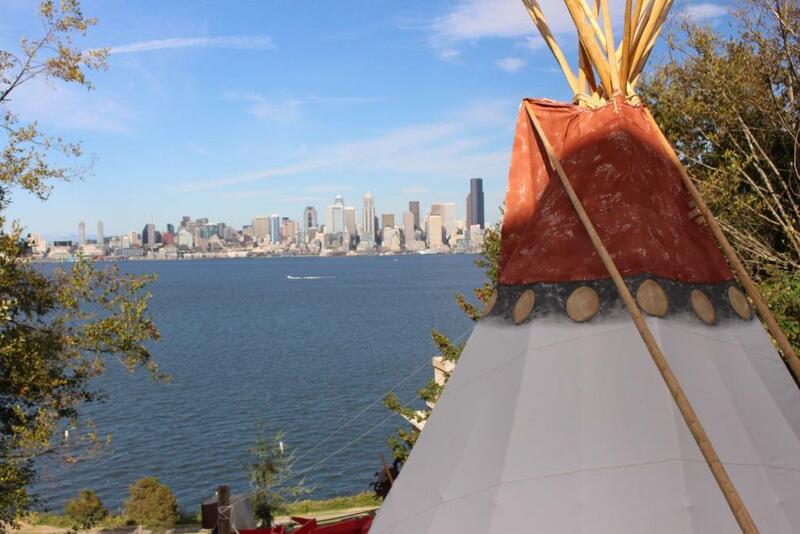 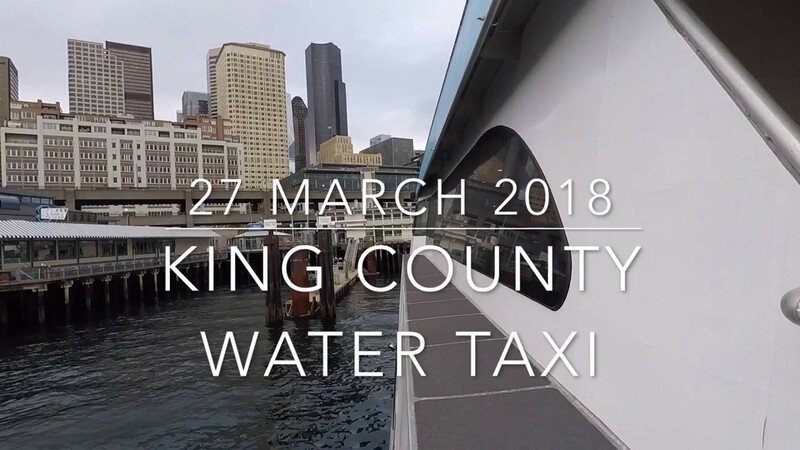 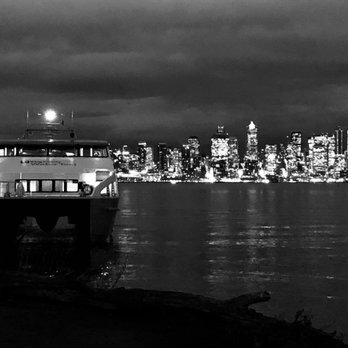 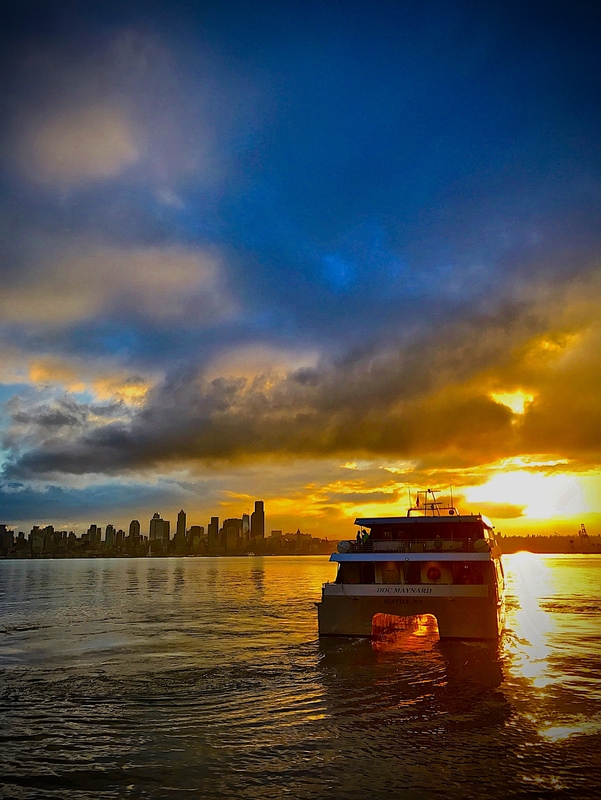 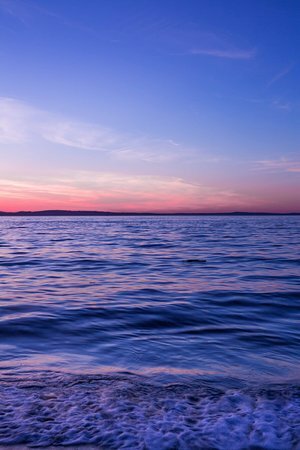 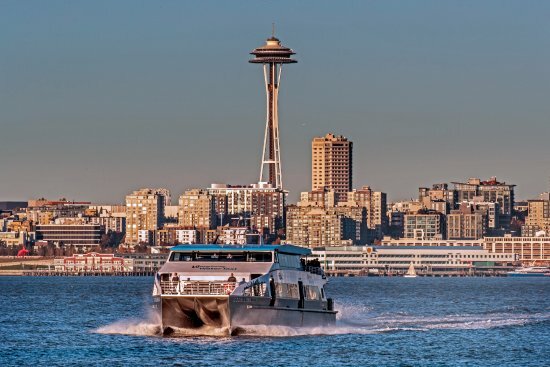 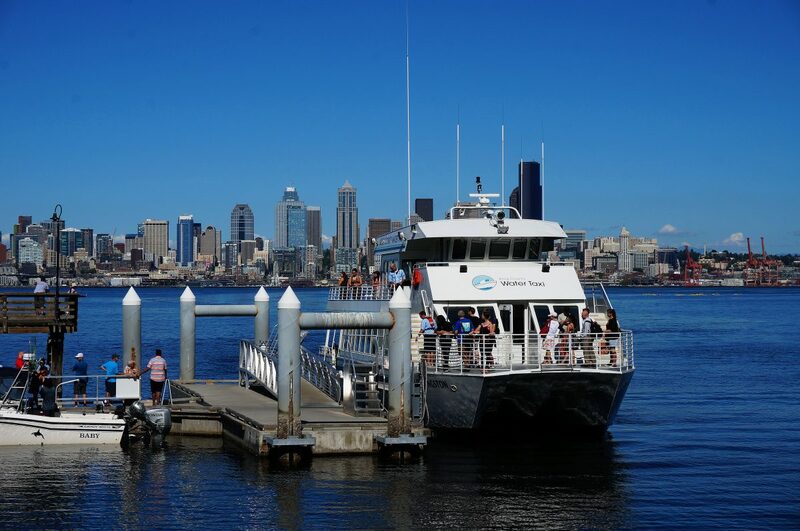 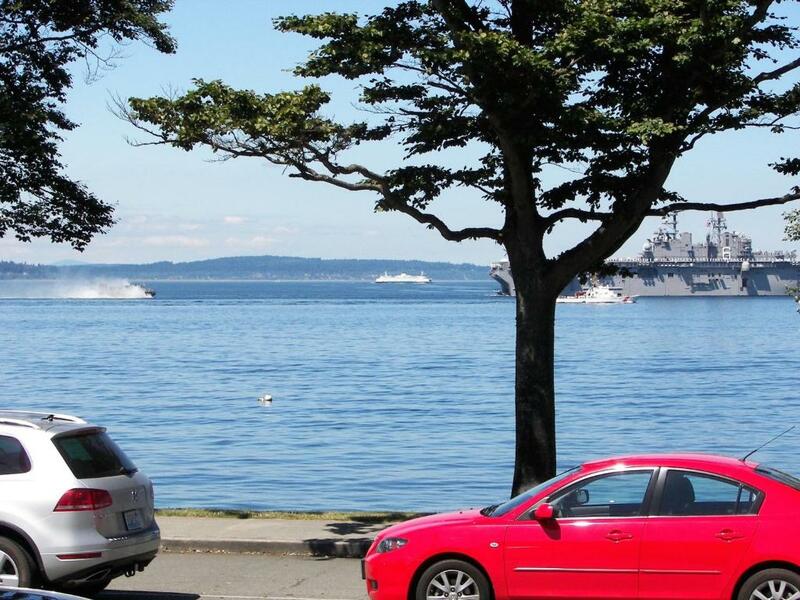 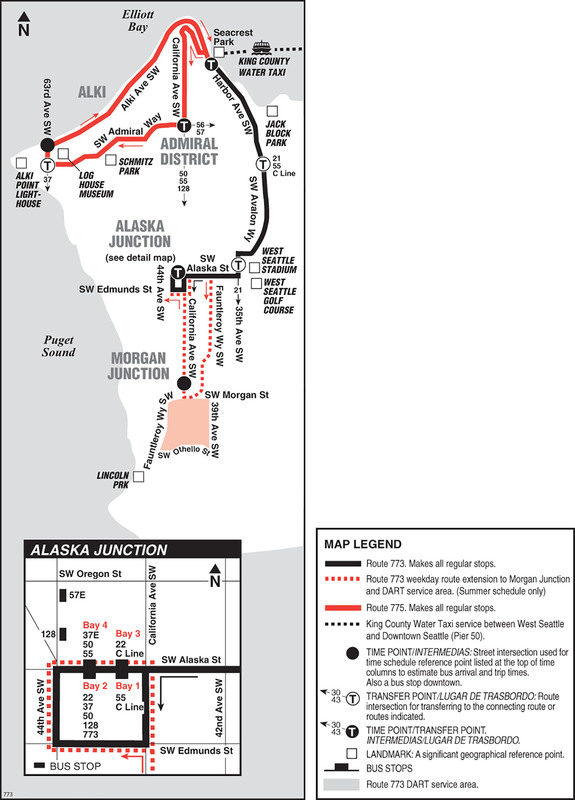 A free shuttle and bus transportation to the West Seattle Water Taxi will bring you into the heart of downtown Seattle in just a 10-minute ride. 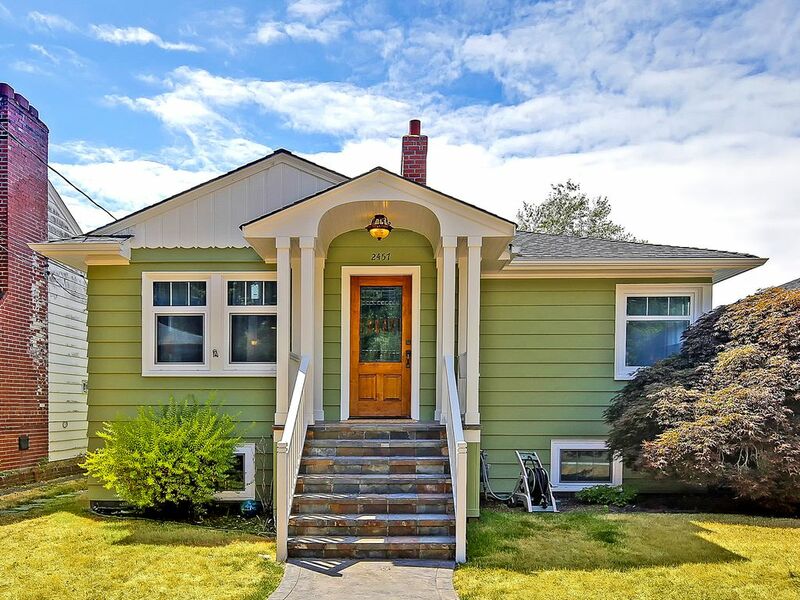 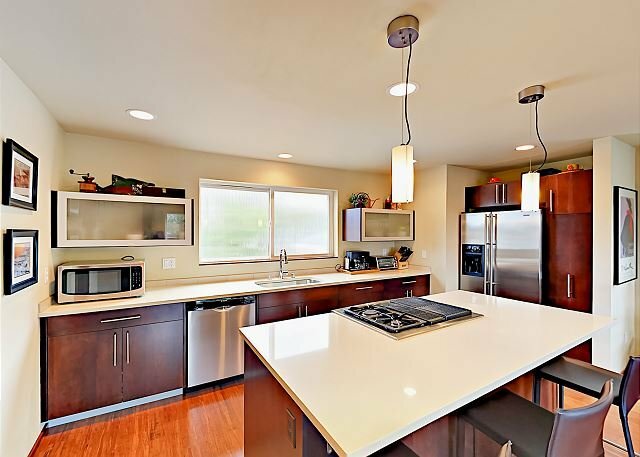 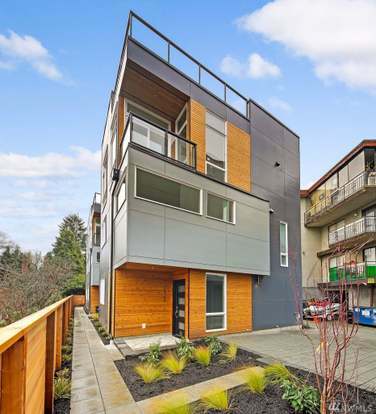 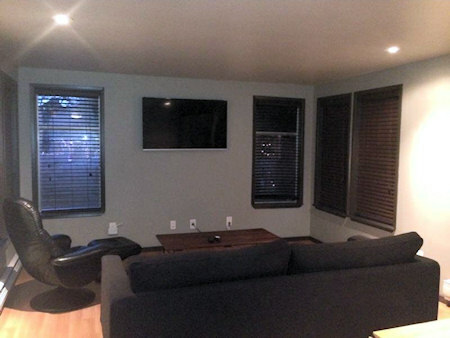 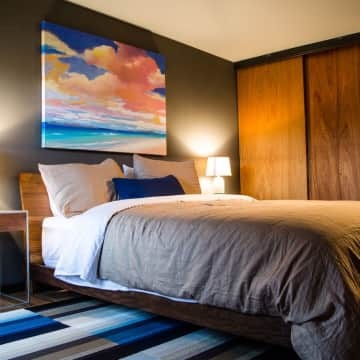 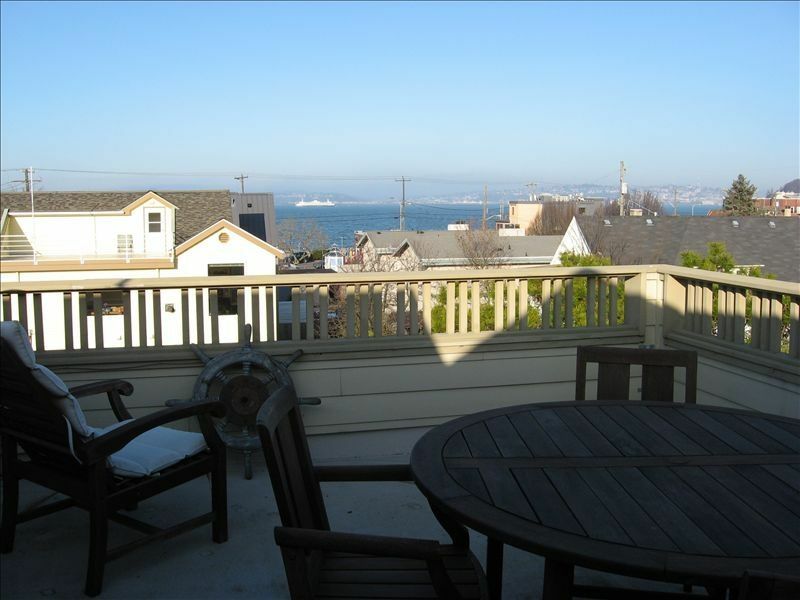 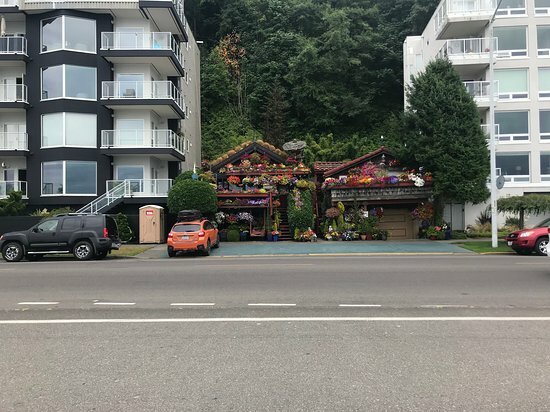 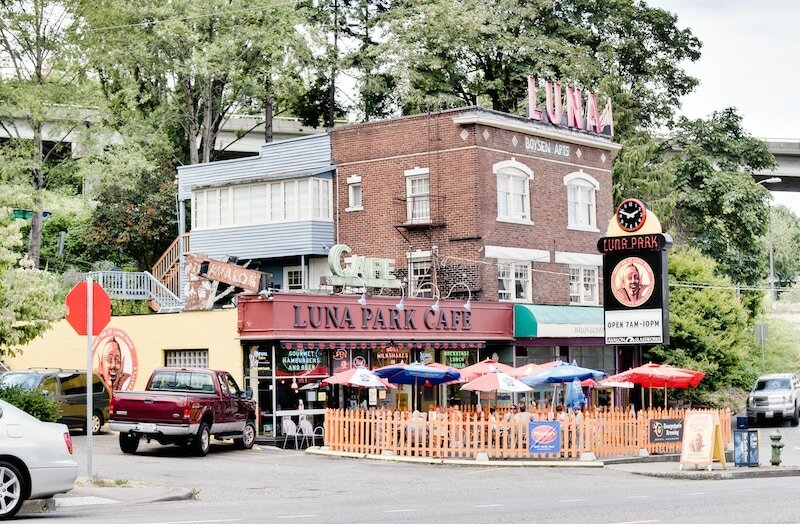 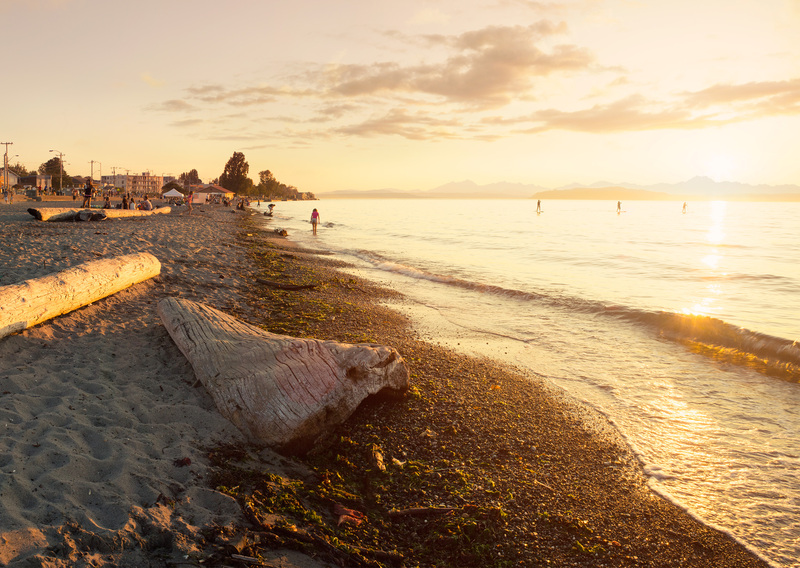 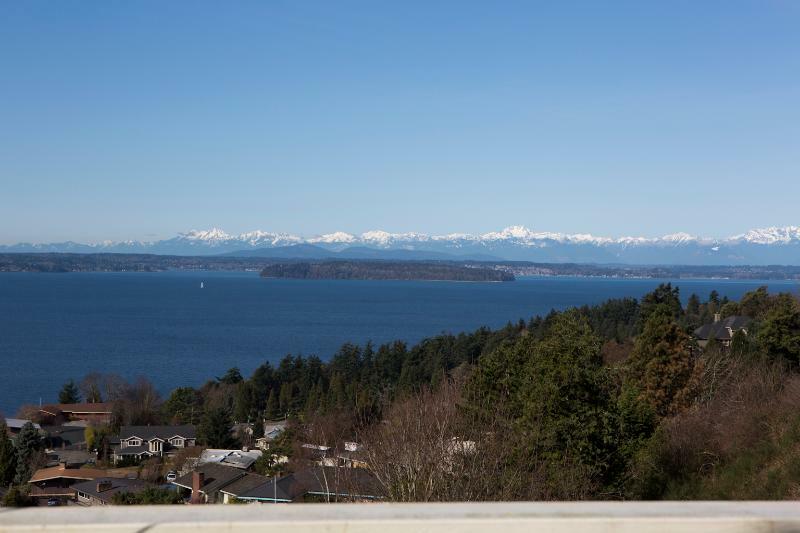 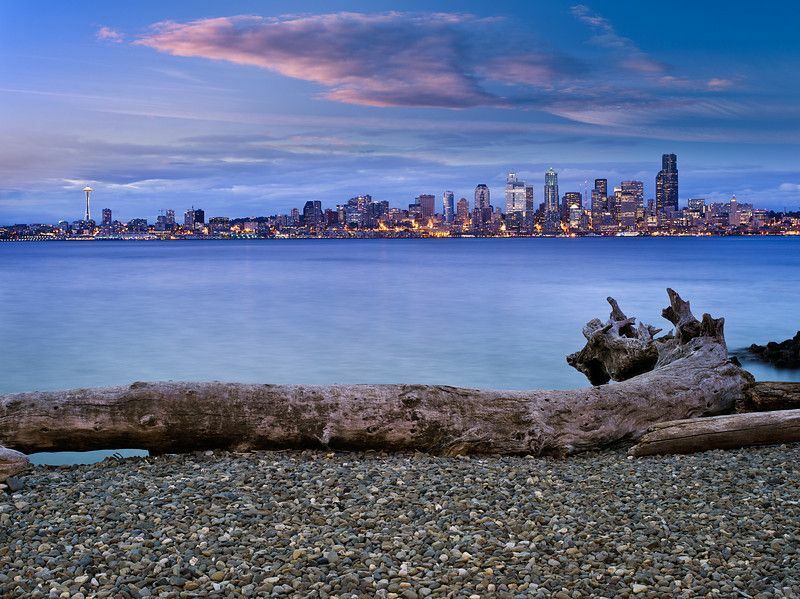 Alki Beach: A darling house-sandwiched between condos. 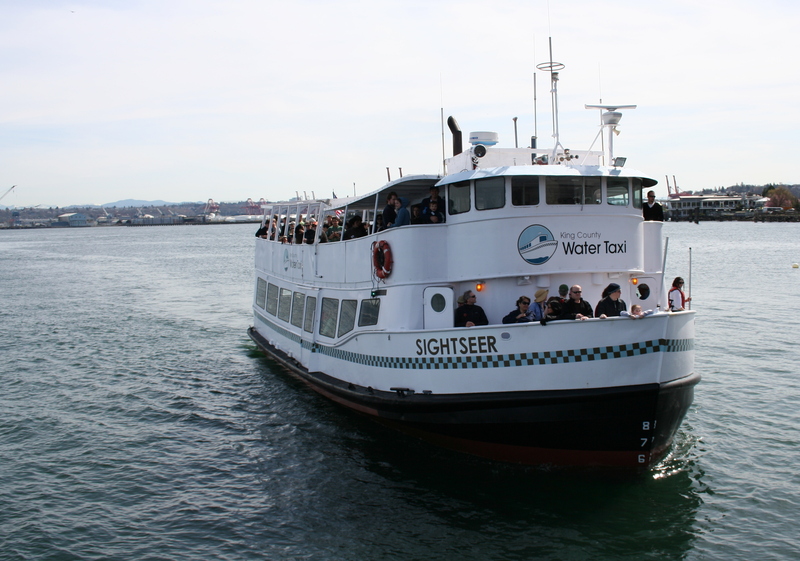 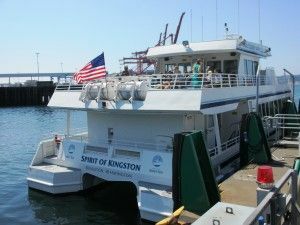 The Sightseer served as the second Elliott Bay Water Taxi.